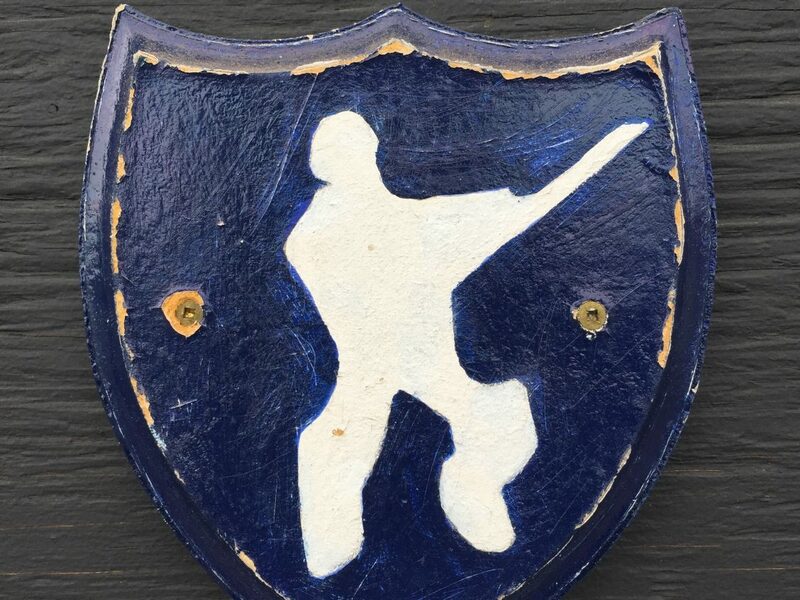 Cricket symbol at Victoria Park. Photo by Umar Akbar. Today, Edmonton is home to more than 60,000 people of South Asian heritage. Speaking Punjabi, Hindi, Urdu, Gujarati, Bengali, Malayalam, Tamil, Sinhala, Sindhi, Nepali, Telugu, Marathi as well as English, and belonging to the Sikh, Hindu, Muslim, Christian, Buddhist, Jain and Zoroastrian faiths, this heterogeneous community is a microcosm of the immensely diverse Indian Subcontinent and its constituent countries: India, Pakistan, Bangladesh, Sri Lanka, Nepal and Bhutan. Add in 2nd and 3rd generation diasporas from other British Commonwealth countries such as Trinidad & Tobago, Fiji, Tanzania and South Africa and it is clear that Edmonton’s South Asians bring much of the world’s flavours to our city. Coming from hot, tropical parts of the world, many are stunned, shocked and/or delighted to see their first Edmonton snowfall and experience their first Canadian winter. It also instills a moment of reflection—how did they travel across the world to arrive in Edmonton and, in the face of such a rueful climate, why do they stay here? If we trace their footsteps we can see similarities with other communities who also settled in Alberta’s capital city. Sohan Singh Bhullar is regarded as one of the first Indians to move to the province to start a farm in 1907 followed by retirement in Edmonton. However it wasn’t until the 1960’s when federal immigration reforms saw many of the city’s first South Asians arriving to study at the University of Alberta, which also hosted Hindi classes, Muslim prayer rooms and other cultural activities in the absence of established community buildings. Today, many South Asians study, teach and work at the U of A, Grant MacEwan University, NAIT and Norquest College and Edmonton’s other post-secondary schools. Religion has a central role in South Asian life so the city’s 10 Muslim Mosques, 4 Hindu Mandirs and 4 Sikh Gurdwaras frequently act as hubs for such community events as weddings, funerals, naming ceremonies and religious classes in addition to liturgies and devotional services. As some of the oldest South Asian cultural institutions in the city (the Hindu Society of Alberta was formed in 1967, the Sikh Society of Alberta in 1973) they are gateways for newcomers to Edmonton seeking out their respective cultural diasporas. Nanaksar Gurdwara, Sikh Temple on Manning Drive Edmonton, AB. Photo by Umar Akbar. Muslim Community of Edmonton Mosque in Garneau. Photo by Umar Akbar. Sri Radha Govindaji Temple. Photo by Umar Akbar. Sai Baba Centre. Photo by Umar Akbar. Detail, Hindu Society of Alberta. Photo by Umar Akbar. As this prairie city grew in the 1970’s, one area in particular appealed to the community. Millwoods, Edmonton’s first planned post-war subdivision quickly swelled with South Asian immigrants and today its schools, sports fields and streets serve the population with courses in Punjabi, games of cricket, the annual Nagar Kirtan Parade and other events. In particular, 34th Avenue between 91st street and Gateway Boulevard, nicknamed “Little India” or “Spice Ave” became the commercial heart for the community with its cluster of South Asian grocers, jewellers, wedding boutiques, banquet halls, restaurants and professional services. However the proliferation of Indian and Pakistani restaurants across Edmonton today indicate that, like their cuisine, residents from the Indian Subcontinent can be found in all corners of the city. Cricket team at Victoria Park. Photo by Umar Akbar. Cricket scoreboard at Victoria Park. Photo by Umar Akbar. While the 1980’s were a period of economic stagnation for Edmonton, it was a decade of unparalleled growth for the South Asian community. Not just in terms of population, but also in terms of civic involvement. In addition to ‘mom-and-pop’ stores springing up, non-profit organizations like the Indo-Canadian Women’s Organization emerged to give voice to the oft-neglected other half of the South Asian population as well as to provide for the unmet social needs of the community. Episodes of racial discrimination against members of the community was not unheard of but South Asians and their traditions continued to become a welcome part of Edmonton’s cultural fabric. Cultural vehicles like Image India, an hour-long weekend program on community cable television, showcased Indian culture to living rooms across Edmonton on a weekly basis. Bhangra music and ‘screwing the lightbulb’ was done at both nightclubs and wedding dances. Every ‘Pandrah Agast’ (August 15th, Indian Independence Day) shy, straight-A kids crossed the stage of the Royal Alberta Museum to be recognized for scholastic excellence (when they would rather be outside playing street hockey in Wayne Gretzky and Mark Messier jerseys). The next generation of Indo-Canadians–the first to be born in Edmonton–was coming of age. The Indian Subcontinent’s immense ethno-cultural diversity has occasionally seen conflict arise between communities within South Asia itself. In Edmonton, subcontinental politics tend be of secondary importance to the diasporas. However, relations within the South Asian community were tested following the storming of the Golden Temple (Sikhism’s holiest shrine) in Amritsar, India by the Indian Army in 1984, the subsequent assassination of Indian Prime Minister Indira Gandhi and the bombing of Air India Flight 182, both in 1985. While protests occurred across Canada and around the world during this turbulent time, local demonstrations were non-violent. Sikh choir at the Siri Guru Nanak Sikh Gurdwara. Photo by Umar Akbar. Guru Gansaab at the Siri Guru Nanak Sikh Gurdwara. Photo by Umar Akbar. Interior, Nanaksar Gurdwara, Sikh Temple on Manning Drive Edmonton, AB. Photo by Umar Akbar. Interior, Muslim Community of Edmonton Mosque in Garneau. Photo by Umar Akbar. Indeed, a silver lining to these dark clouds was the response from various South Asian community leaders. They organized committees, public workshops and outreach activities based around shared values of harmony, tolerance, cooperation and mutual understanding; values commemorated by the installation of the Mahatma Gandhi Statue in downtown Edmonton in 1986. These efforts have since maintained good relations between the various South Asian communities in Edmonton. As much as the South Asian diaspora may self-identify as Indians or Pakistanis or Sikhs or other perceived political distinctions, the common bonds of food, clothing, sport, music, customs & Bollywood also contribute to maintaining a shared culture known the world over including in Edmonton. By the Turn of the Century, the South Asian community was a full participant in Edmonton’s civic life like so many other communities that now call this Western Canadian city their home. South Asians now run their own businesses, provide care at hospitals, volunteer in community leagues and work in government and blue chip corporations. Today’s South Asian Edmontonians include high-profile city builders in business, academia, healthcare, public administration and all three levels of Canadian politics. However just as stereotypes of taxicab drivers or convenience store owners coexists alongside the familiar mantra of ‘doctor, lawyer or engineer’, younger South Asian-Canadians are also breaking with tradition to forge their own paths and pursue their own passions in, among other things, technology startups, bellydancing, music producing, fitness coaching, fine wines and community radio. Karpans at the Siri Guru Nanak Sikh Gurdwara. Photo by Umar Akbar. Interior, Hindu Society of Alberta. Photo by Umar Akbar. Hindu Society of Alberta. Photo by Umar Akbar. Thousands of people from around the world, including the Indian Subcontinent, begin their own Edmonton story each year…and just as many marvel, muddle or suffer through its Prairie winters. They do so enabled by a spirit of co-operation, understanding and opportunity; a belief that Edmonton is for them. Even the harshest of climates isn’t a deterrent so much as a measure of hardiness and adaptability. As they trudge through the snow, there may be occasional stumbles in this new and sometimes strange land. Yet when they join the path beaten by those Edmontonians who came before them, including those in and outside of the South Asian community, their journey becomes a little easier, their footprints a little deeper in this city they call home. Sam Singh is a guest author who has also written for the Edmonton Maps Heritage website.